Apologies for the slightly less frequent blogging over the past couple of days, this is entirely due to the strange malfunctioning of the station computer . . I am typing this with the constant fear that it will crash while I write. SO, the whale shark trip on Monday was a whale fail to be honest, no sharks were spotted. The captains look out for them by trying to see a ‘boil’ of fish on the surface of the ocean (disturbance caused by a feeding frenzy), which is extremely hard to spot on rough seas. And the waves were pretty massive on Monday. We did manage to see the entire island though (as the boat cruised all the way round it) and finished the trip with a nice snorkel, learning that group underwater photographs are very difficult to take. I finished my advanced open water course with a night dive last night. Diving in the dark was strangely relaxing! We were lucky enough to spot a turtle and a couple of seahorses – both unusual sightings for a night dive. 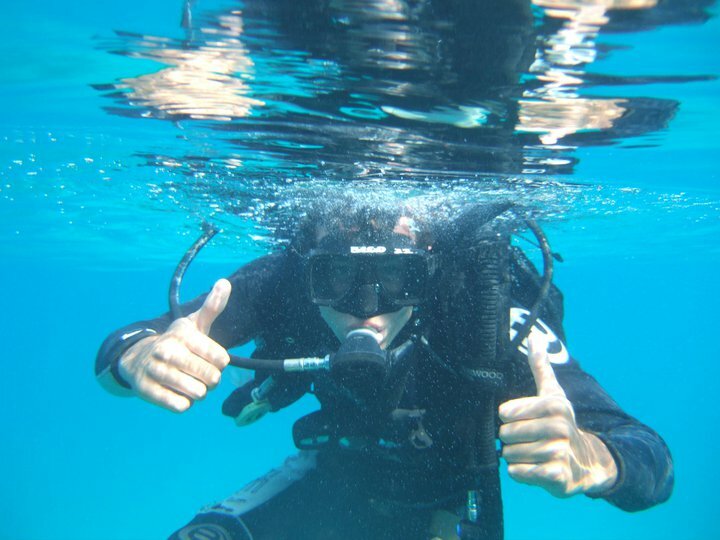 Five of the volunteers will kick off their open water courses this weekend and they are all getting excited. The Iguana Station is bringing some good business to the Bay Islands dive shop, that’s for sure. The parrots are loving their new cage with its vast expanse of wing-flapping room and sticks, toys, dangly bits. . . but they are still moody and vicious, Rosalita especially. Unless, of course, you’re a MAN then she will be all crooning, whistling and fluffing her feathers. She’s a sexist and a flirt. ~ by iguana123 on April 13, 2011.